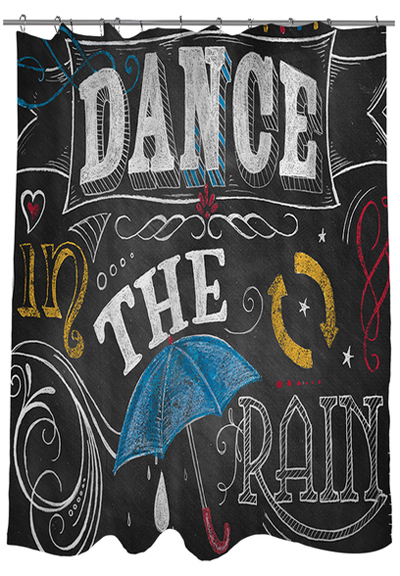 Beautiful art by Donna Knold creates a conversational themed Thumbprintz Chalkboard Dance in the Rain Shower Curtain in multiple colors for this printed shower curtain. Machine wash and dry. $99.95 Sale $49.99. Free shipping. Buy here. The playful polka dots on this Black Dottie Shower Curtain add a cheery look to the bath. Lightweight, printed 100% cotton percale. $49.50. Buy here. 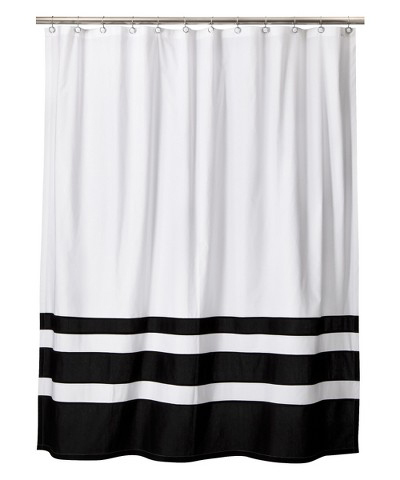 This Black & White Color Block Shower Curtain adds classic style to your bathroom. Made of mildew-resistant 100% cotton. $19.99. Buy here. 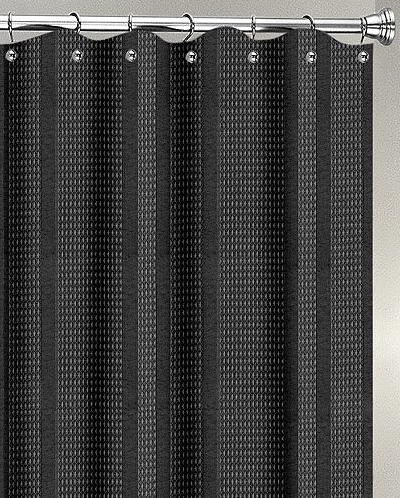 This Black Waffle Stripe Fabric Shower Curtain by Popular Bath features a waffle-weave construction for a textured look. $54.99 Sale $27.49. Buy here. 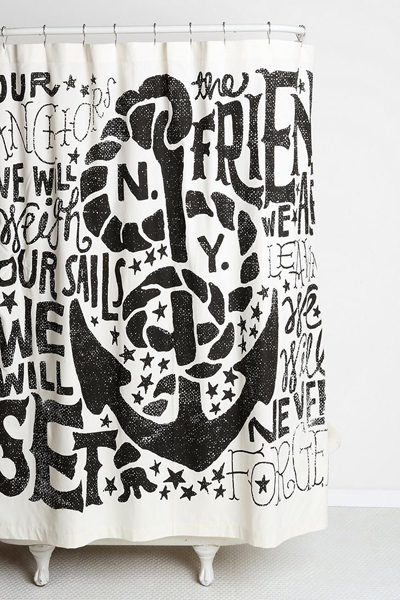 This woven cotton Anchors Aweigh Shower Curtain is topped with a charming maritime text-graphic, from NYC-based artist and designer Jon Contino. A fun, functional accent for any bathroom space. $64. Free shipping. Buy here. 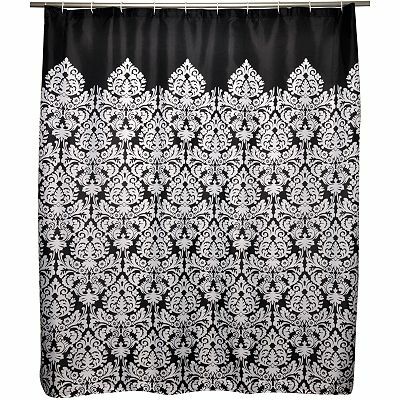 Capture the essence of elegance with this Waverly Essence Fabric Shower Curtain featuring a black damask design. Machine washable. 70″ x 72″. $39.99. Buy here. The Peyton Shower Curtain features overlapping octagons that shape the bath with bold geo style. 72″ square. Made of 100% cotton percale. $39.50. Buy here.